The diet of the Humboldt penguin (Spheniscus humboldti) was examined and compared in two colonies in Chile. Field work was conducted on Pan de Azúcar Island in northern Chile in the breeding season 1998/1999 and on the Puñihuil Islands in southern Chile over two successive breeding seasons during 1997/1998 and 1998/1999. Penguin diet was studied by stomach-pumping birds and analysed by species composition, size and mass of prey. Fish were the dominant prey item at both sites, the contribution of cephalopods and crustaceans varying between sites. The fish prey consisted predominantly of school fish, but there were clear latitudinal differences in fish prey taken. Penguins in the northern colony consumed primarily garfish (Scomberesox saurus), while birds at the southern colony of Puñihuil fed primarily on anchovy (Engraulis ringens), Araucanian herring (Strangomera bentincki) and silverside (Odontesthes regia). The results showed significant differences in terms of numbers of fish taken between the two breeding seasons at Puñihuil. In 1997/1998 penguins consumed almost exclusively anchovy, while they fed primarily on silversides in the successive year. 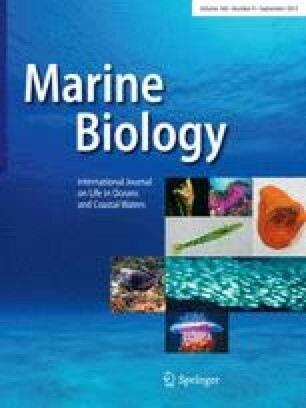 Almost all prey, except stomatopods, were characterised as being pelagic species that occur in relatively inshore water, consistent with the foraging behaviour of Humboldt penguins. The dependence of Humboldt penguins on commercially exploited, schooling prey species makes the species particularly susceptible to changes in prey stocks, due to non-sustainable fisheries management. We are grateful to the people who offered their help, particularly to Dr. C. Moreno, University of Valdivia, Chile, for compiling the reference collection of otoliths; Dr. M. Araya, University Concepción, Chile, for helping with identification of the otoliths; Dr. G. Luna-Jorquera and F. Sapulveda, University of Coquimbo, Chile, for their support in getting fresh fish samples and in identifying the different vertebrae; Dr. U. Piatkowski, Institut für Meereskunde, University Kiel, Germany, for helping with identification of the squid beaks; and Professor Dr. D. Adelung and Dr. R. Wilson, Institut für Meereskunde, University Kiel, Germany, for their overall support. The study was conducted with permission of the Chilean Ministry of Fisheries (SERNAP) and the Chilean Nature Conservancy (CONAF), and complied with the laws of Chile.